A good bird’s eye view of the city is often on a visitor’s list. 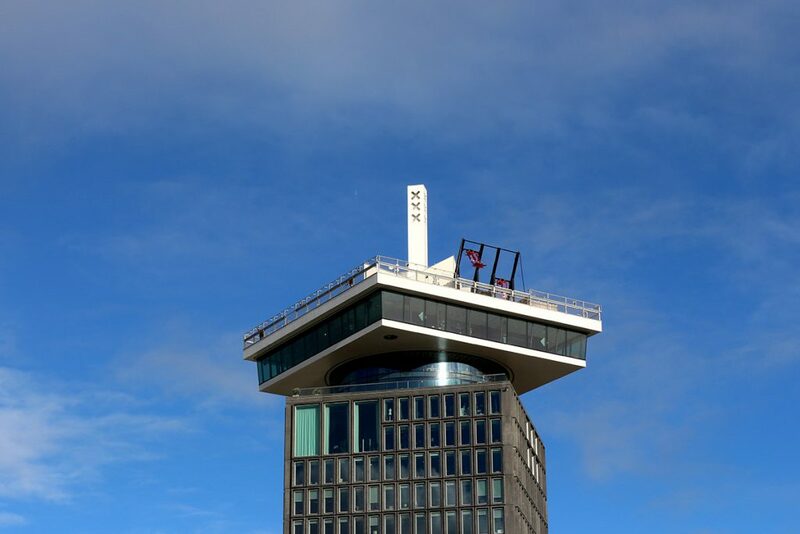 Come to the A’dam Tower in Amsterdam Noord to see these great views and more! Visit restaurants Madam and Moon, experience the rooftop swing, or stop by the bar, restaurant and hotel in the lower floors. There’s lots to discover. 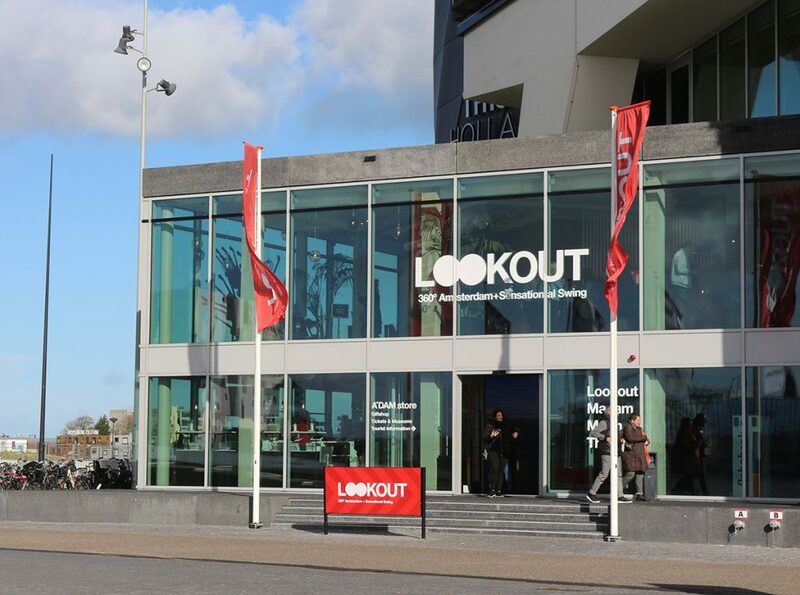 Head up to the top of the building known as the Lookout. You can get tickets in advance here which includes two drinks at the bar. Once you get to the top you can’t help but notice the bright red swing that flies out over the edge of the building. Hop on if you dare! Book tickets including the Lookout and the over the edge swing here. If you’d like to avoid purchasing a ticket to visit the roof you can also make a reservation at one of the two restaurants at the top, Ma’dam or Moon. 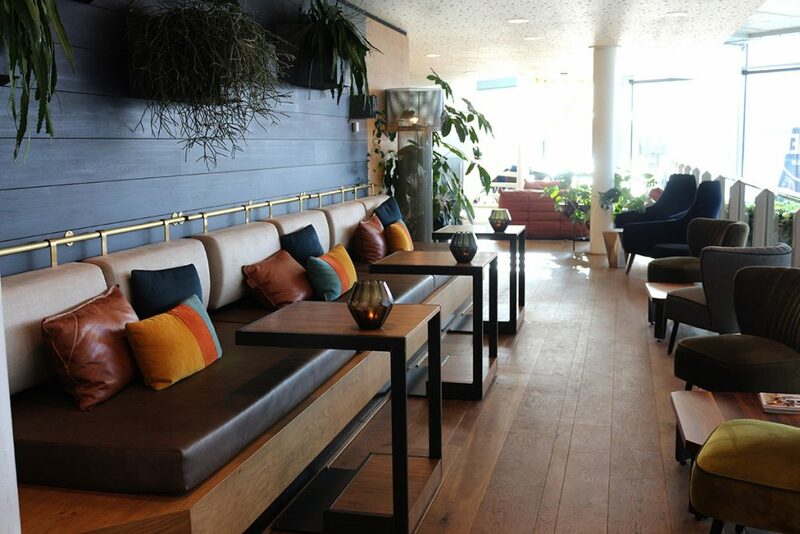 Ma’dam is a panoramic bar and restaurant located on the top floor of the A’DAM Toren. Visit during the day for drinks and lunch, or go at night for cocktails and dancing. Moon is a genius name for a revolving rooftop restaurant, isn’t it? The restaurant slowly rotates once every hour, providing a truly unique dining experience with a changing view of Amsterdam. Closer to earth you’ll find a restaurant and bar in the spacious lobby of the building. 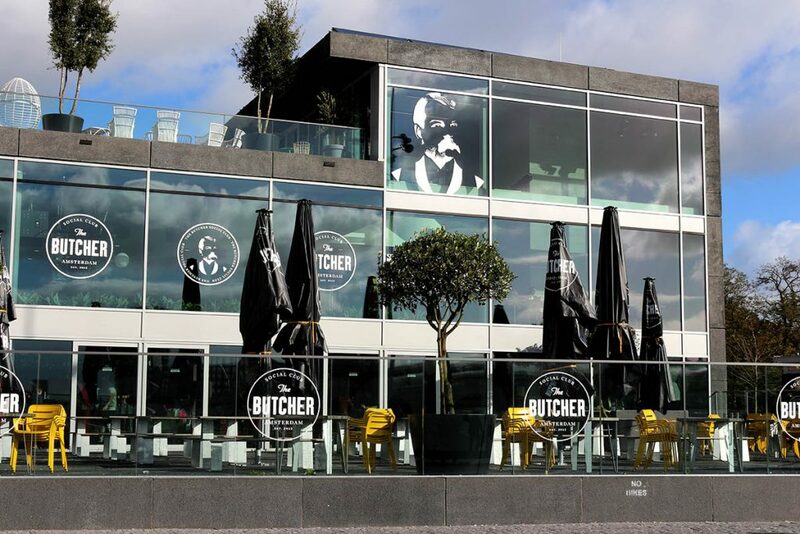 The Butcher Social Club offers burgers as well as other eats plus a waterside terrace to soak up some rays if they decide to come out. 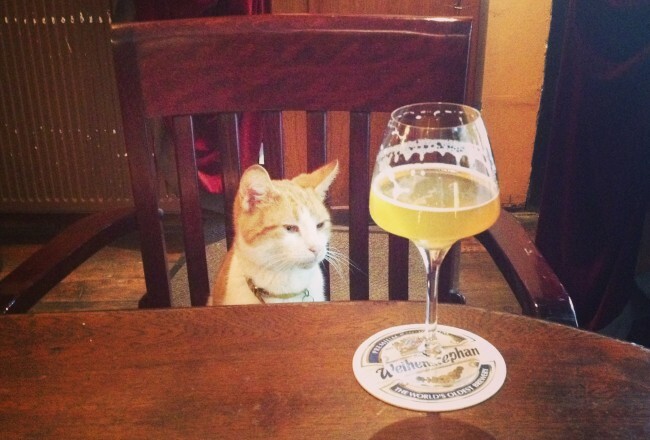 The bar serves any kind of drinks you might want, from local craft beer to G&Ts. Best of all the space is open 24/7! Underground you’ll find Shelter, a nightclub where you can catch cool DJs and art exhibitions. 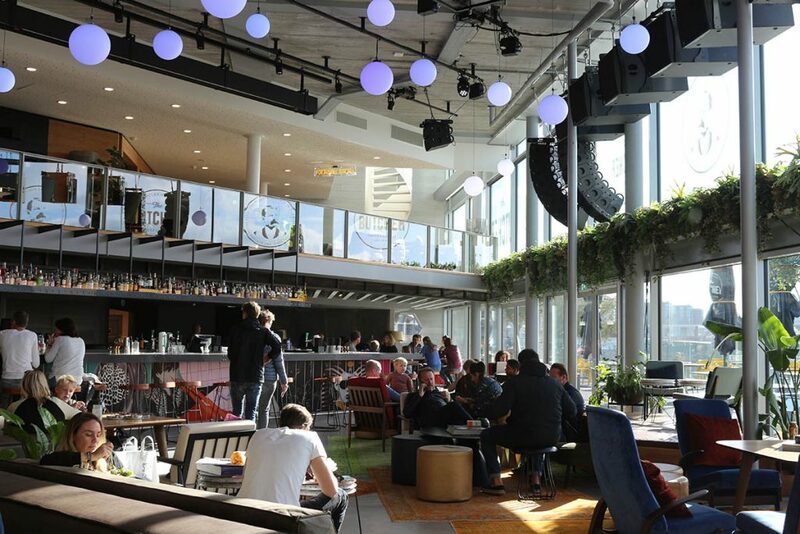 Would you like to spend more time at the A’DAM Toren? Then book a room at the boutique Sir Adam Hotel which is located on the first eight floors of the tower. It’s a great spot to access all of Amsterdam’s sights while staying out of the craziness of the city center. 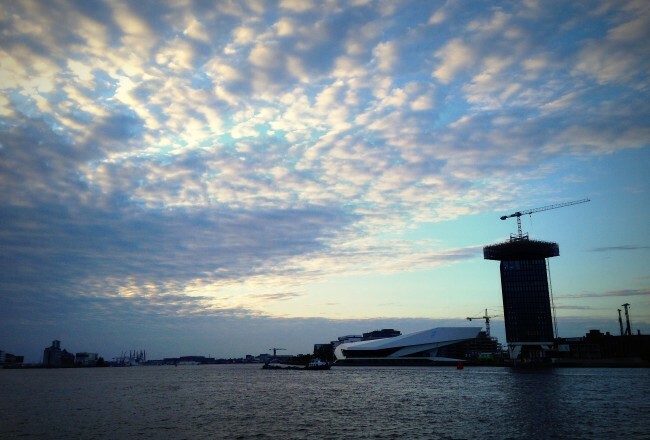 You can hop on the free ferry across the water and be at Centraal Station in minutes. 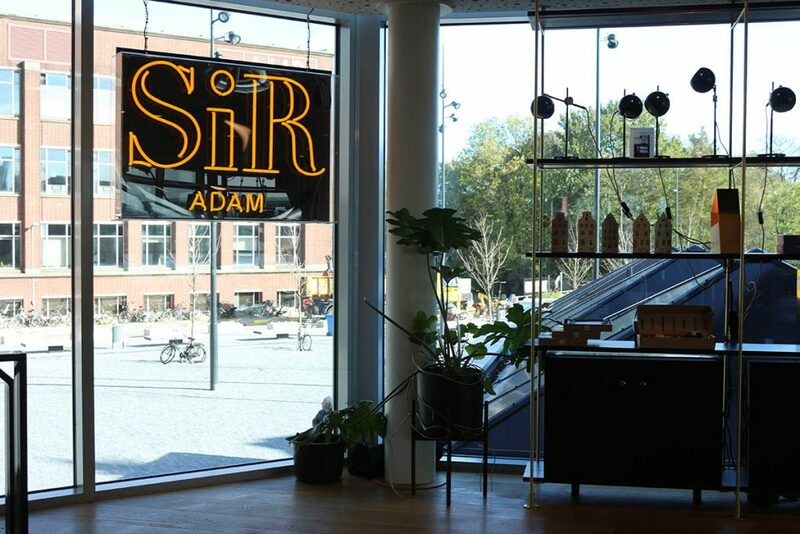 Book the Sir Adam Hotel here. 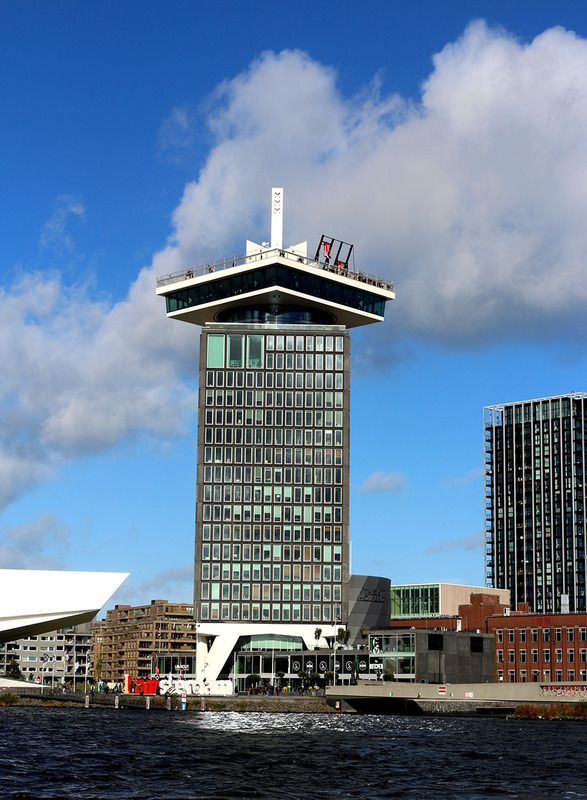 Do you know the history of this odd building that is now the A’DAM Tower? It used to be the offices of Shell Oil, but they abandoned it in 2009 when they built their new offices to the north. The building stood disused for some time, and looked a bit out of place. In 2014 reconstruction began with plans to change this boring office building into a media hub. 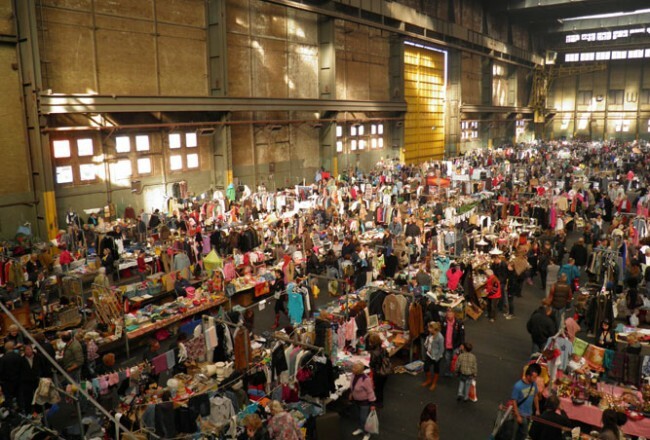 Did you know A’DAM is not only as a nickname for the city of Amsterdam but also stands for “Amsterdam Dance and Music”?